Clubs on campus are possibly one of the single most important aspects of a student’s life. They are places of friendship, personal growth, career development and university inclusiveness. Club activities give students skills and talents that they are not able to learn or develop through normal third level education. Besides, it can give them a great chance to meet new people, enjoy their time at university and ensure that they strike a healthy balance between studying and social life. CNU has diverse clubs that students can join. However, many of the approximately 1,000 international students are still in doubt about choosing proper clubs and have constantly asked about the societies and clubs that they can join, albeit, they were not able to find reliable information. There is a consensus that CNU does not have enough extra activities that can be available to international students. This is probably just because of a lack of advertisements. 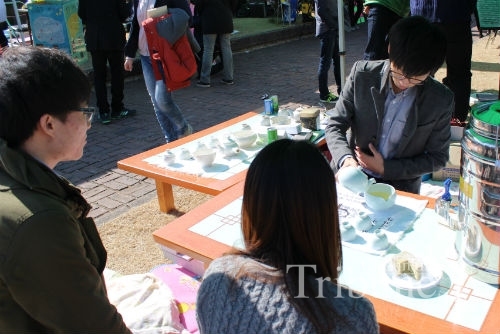 The Chonnam Tribune examined this issue remaining as the dark side of the picture. CNU has almost a hundred clubs both official and unofficial and typically hosts countless clubs and societies. However, international students cannot attend some clubs, as they demand Korean language skills. Becky Barnett (Sophomore, Faculty of Business Administration) acknowledged the importance of knowing Korean language in order to be a member of a club. She said, “I think joining a campus club is a great chance for international students but they need to learn Korean language. We can expect them to speak in Korean”. This language problem is one of inevitable complexities with which most international students collide. Therefore, club seekers’ essential target should be learning Korean language as fast as possible. Yuldasheva Nozima (Sophomore, Faculty of Economics) said, “To be honest, I am looking forward to joining clubs. I think that I can deal with the language barrier with my low Korean abilities, because Korean friends have always understood me and supported me. They are the trigger that helps me learn Korean language quickly. By taking part in clubs, you will build long-lasting friendships and connections, meet students from different backgrounds, and gain transferable skills such as communication, teamwork, organization, problem solving and time management. It will also improve your confidence”. Lack of Information, a Real Obstacle? Regarding the issue of lack of clubs for international students at CNU, the Club Association’s Emergency Management Committee is sure that their advertisement or information is enough for students to join clubs. 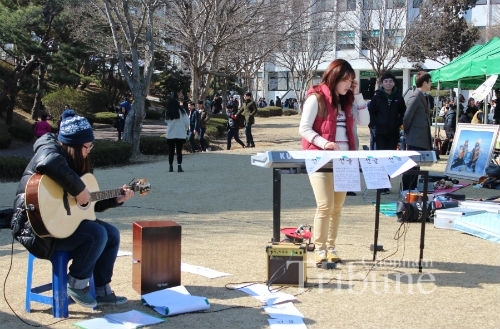 “We hold club festivals during the beginning of each semester to help all clubs perform and advertise themselves. We also visit each department during the orientation period to provide information on campus clubs, and students can get information there.” The committee member added, “We did some research to prepare for this interview and figured out that most international students who are joining clubs were influenced by their Korean buddy. We also give information to the Office of International Affairs (OIA) for the orientation for international students.” They recommended certain clubs so that all students, especially international students, can enjoy club activities; they are sports clubs such as a soccer club and a table tennis club that international students have already joined before. It is palpable that the association does have sufficient advertisements to get information to the students. 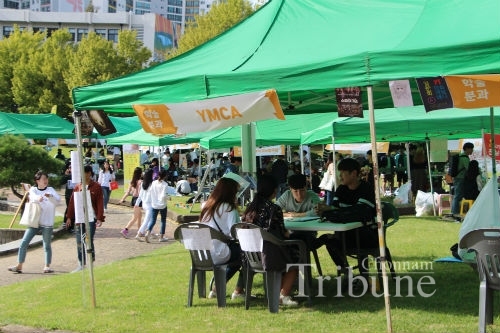 The campus club fair held every March and August is a very good opportunity to get reliable information about clubs and choosing a club can be straightforward to non-Korean speaking students. However, many international students have complained that this event is unsatisfactory because it is not effective enough for them to get information and join clubs. Nevertheless, they strongly believe that there should be some alternatives for getting more information and they are looking forward to new initiatives from the Club Association. As John Stuart Mill said, “The sole evidence it is possible to produce that anything is desirable is that people actually do desire it”. With your great intention, you will be able to find a desirable club if you are really passionate about it. If you want to join a club, you can visit the website of the club association (http://www.jnudongary.com/file/index.php) and find lots of information about each club. Both more information and action are needed toward a real solution for international students to join clubs and enjoy club activities with domestic students on campus.